What have we learnt in two decades of MySQL? From obscurity to the mainstream, the journey of MySQL shows the power of the open source community to drive innovation. After installing a MySQL database server, like the one I posted earlier, if it's going to be a production environment than you should consider securing the instance by eliminating some of the basic vulnerabilities that come with a generic install. set a password for root accounts. remove root accounts that are accessible from outside the local host. remove the test database (if exists), which by default can be accessed by anonymous users. Be advised that as of MySQL 5.7.2, this tool is an executable binary available on all platforms. Before version 5.7.2, it was a script available only for Unix and Unix-like systems. 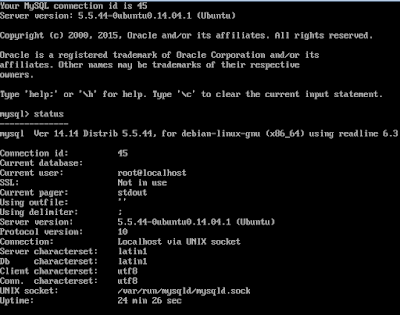 The cenario for the installation is an Ubuntu Server with version 14.04 of the operating system. you can download the ISO image for the OS instalation at Canonical's website. You should perform this install only with the basic platform, maybe choosing only the SSH server in case you're planning remote shell access to this server. 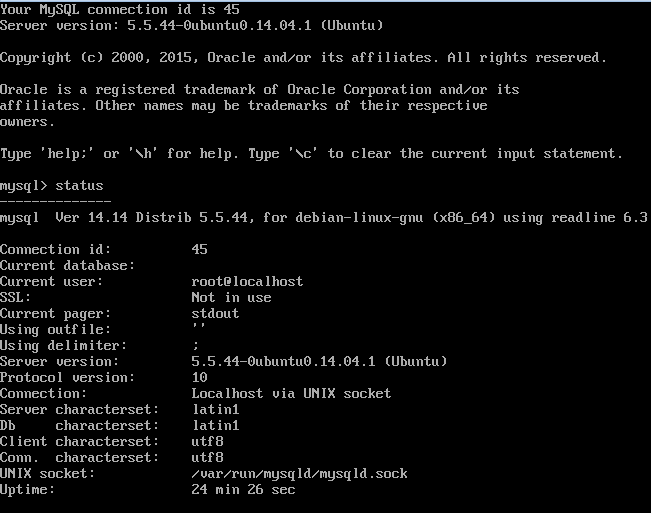 After installing the OS, login into the server and follow the steps to perform a basic MySQL server installation on Ubuntu server as described on the official documentation. For the list of all MySQL commands type 'help'. To exit, type 'quit'. The my.cnf file, on the /etc/mysql/ directory, is the essential place to control the database engine configuration options.